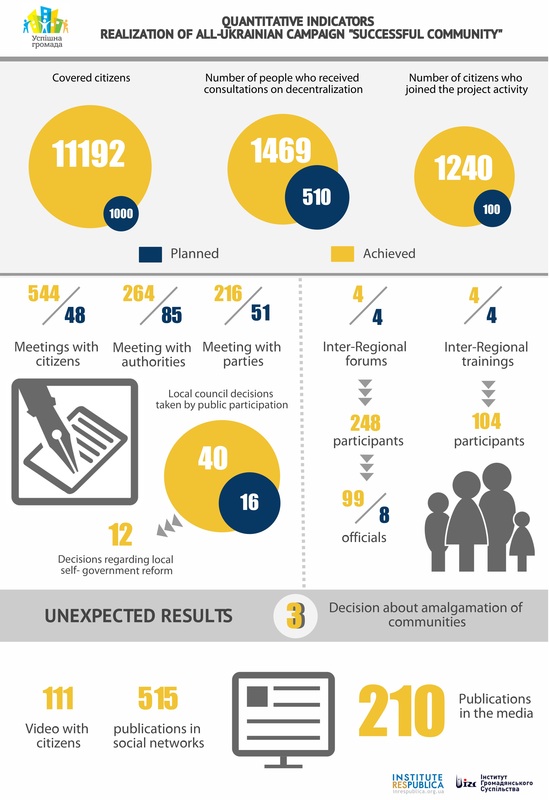 Ukrainian campaign «Successful Community» is designed to strengthen multi-level dialogue between communities and local authorities in order to accelerate the decentralization process in Ukraine. Informing. Political manipulation around the decentralization reform led to the formation of a large number of contradictions and myths in society. So, Ukrainian campaign «Successful Community» is designed to raise awareness of citizens about what the «decentralization» reform is and possibilities it opens for an average citizen of Ukraine. The public impact. The campaign will aim to educate citizens who have not been involved in a public environment. Indeed, along with opportunities of communities, especially financial, responsibility for the fate of their own locality will grow. This responsibility lies on both authorities and an ordinary citizen. Therefore, the campaign should give people skills of public influence on decision-making on the local level. People will be taught how they can represent the interests of their communities, how they can initiate their own local initiatives and raise issues of their town. The «authority-community» dialog. A constructive dialogue between authorities and the community is very important. Therefore, the campaign will promote cooperation between the public and the local authorities elected in 2015. Officials, politicians and ordinary people should understand benefits from cooperation. It is necessary for local authorities to get acquainted with peculiarities of the decentralization reform and ways of working with the public. 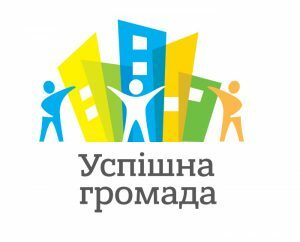 Building a harmonious dialogue between government and communities and working on a common action plan at creating efficient strong communities is a priority of Ukrainian campaign «Successful Community». Inter-regional communication. Activists and local government officials will exchange experience in implementing the decentralization reform, establish cooperation with other regions of Ukraine. The campaign will create a platform for the exchange of ideas, experiences and practices of democratic reforms both on local and on the national level. Ukrainian campaign «Successful Community» is implemented by the Ukrainian initiative «Active Community» from the Institute «Respublika» and the Civil Society Institute. The National Democratic Institute for International Affairs under financial support of the Government of Canada provided by the Ministry of Foreign Affairs of Canada is our partner.